I’ve noticed a trend lately, nothing major, nothing earth-shattering, but it’s there. When a label specializes in solo artists, they tend to lump them together to release group collabs quite frequently. It’s like the Korean music industry isn’t quite sure how to let an artist stand on their own two feet. Or maybe they are capitalizing on the unique fanbases. Or maybe they aren’t entirely sure that their artists can handle a song all on their own. It’s a bit harder to make these somewhat fluid groups when your solo artist is one of very few on your label and of a completely different style than your other big name(s). But I like solo artists. I like men and women that make themselves vulnerable by standing alone on a stage, and even more so when they actually write the songs. They’re just kind of putting everything out there and trusting in the listener to support them. It’s a lot. It’s so much more than I am capable of. I don’t like to make myself vulnerable so I am completely in awe of that kind of strength. Jooyoung is a solo artist on Starship with an interesting and storied career. He hasn’t shied away from collabing and guesting, and supporting, but it feels like he’s done it on his own terms. He started off as part of a duo with a school friend, Shin Dong Woo (come on now, you know him…CNU from B1A4). He weaved his way through collab after collab, label after label until he eventually landed on Starship X. He’s got wonderful friends in all sorts of great places that have featured him on stages and shows and in videos. So even though he’s got only a few official releases on his own, he’s been around. He has a ton of name recognition and lots of experience. 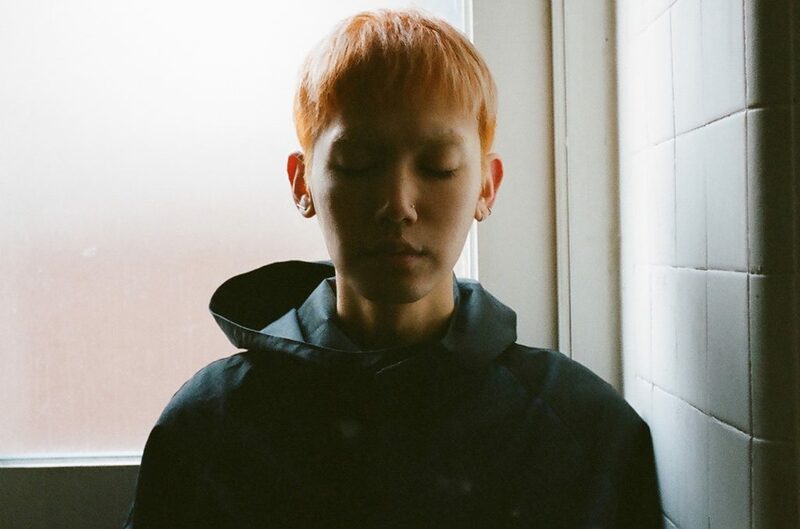 Shocking quite a few folks, Jooyoung enlisted in the military in 2015 and did his two years as a public service officer while still releasing pre-recorded songs. Usually, we see Korean artists kind of fade from the limelight while doing their mandatory service, but not Jooyoung, he had enough on the books to see him through and because of fortuitous timing was even participated in the Starship 2015 Winter Song…I’ve shared that here before. My goodness, he’s lovely. His sound leans heavily singer-songwriter ballad and he has a soft R&B voice that kind of glides over your skin leaving goosebumps in its wake. There’s something a bit insubstantial about it all…not that it isn’t deep or complex or meaningful, but rather it’s almost ethereal. Like maybe he’s not quite in the same dimension as the rest of us, but he’s still reaching out. That all sounds a bit dreamier than I mean and certainly not my normal way of approaching an artist. But we’ve all met that guy, the one that’s so talented and so in his own head that we aren’t really ever quite taking up the same space. That’s who he feels like to me. Like maybe one day he’ll show me his world and I’ll feel lost and lucky all at the same time. This song is so lovely. I could totally see it making a nice addition to my moody writing mix.